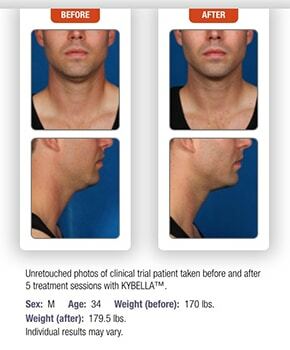 KYBELLA™ injection is the first and only FDA approved nonsurgical treatment that improves the appearance of submental fullness, also referred to as a “double chin”. 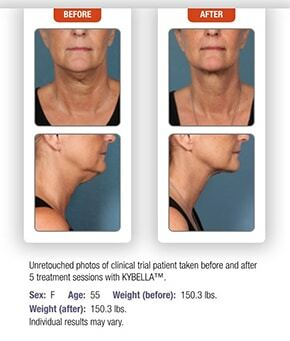 The active ingredient in KYBELLA™ is deoxycholic acid, a naturally-occurring molecule in the body that aids in the breakdown and absorption of dietary fat. When injected into the fat beneath your chin, KYBELLA™ causes the destruction of fat cells giving a smoother, flatter contour to the area. Many patients experience visible contouring of their chin profile in 2-4 treatment sessions spaced at least one month apart. Up to 6 treatments may be administered in total. CoolScuplting® is an innovative, non-surgical method of eliminating bulges of stubborn fat from the midsection, lower back, arms and legs. The CoolSculpting applicator delivers controlled cooling to the targeted areas without harming the overlying skin. Treated fat cells are crystallized (frozen), which causes them to die. Over time, the body naturally processes the fat and eliminates these dead cells, leaving a slimmer, more sculpted appearance to the area. The procedure involves minimal discomfort, and most people will read, check email, or even take a nap while it is performed. Unlike most other methods of fat reduction, CoolSculpting involves no needles, surgery, or downtime. Results look natural and can be seen as early as three weeks following treatment, with the most dramatic results seen after one to three months. 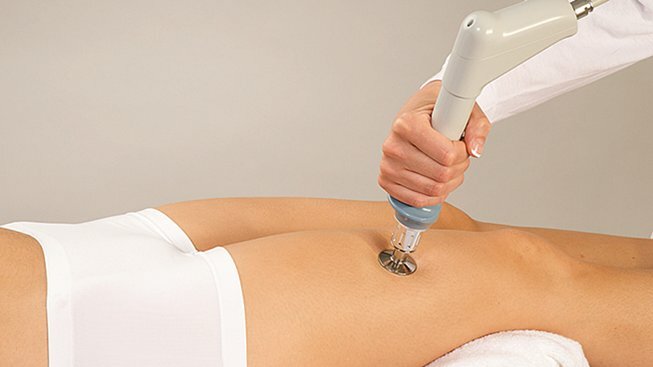 BTL Vanquish Me™ uses the energy of radio waves to bypass the skin and treat underlying fat. 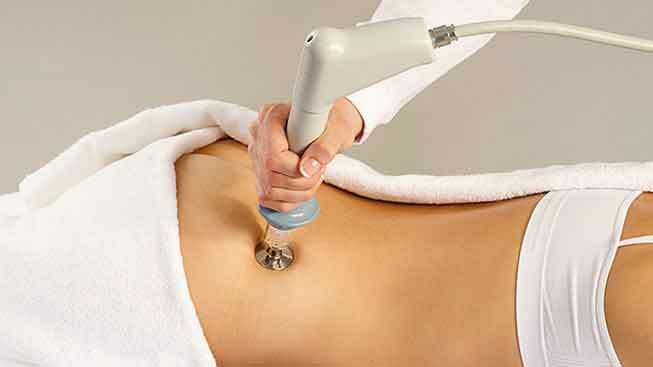 The treated area is subjected to a high-frequency electric field that damages fatty tissue, allowing it to be absorbed and eliminated naturally by the body. The treatment is FDA approved and completely safe. The Vanquish spot size is the largest in the industry and covers the entire abdomen from flank to flank. The treatment panel floats just above the skin, causing an intense warming of the area. Most patients find it to be pleasant and relaxing. Sessions are performed one week apart for 4-6 weeks. Many report visible improvements after the second session, but it is common for changes to continue over a period of several months. Adequate hydration, mild to moderate exercise, and a healthy diet all work to maximize results. BTL Cellutone™ treatments are for those who are undergoing a non-invasive body shaping procedure such as BTL Vanquish and who want a quicker and enhanced result. Therapeutic vibrations from the Cellutone hand piece contribute to increased lymphatic drainage, waste elimination and blood flow, and therefore a more efficient fat eliminating recovery period. Treatments will occur immediately after your non-invasive body shaping or tightening procedure. Results may vary from patient to patient depending on many factors. The therapy itself is comfortable and painless. Patients have reported visible improvements after a single treatment session when used in conjunction with a non-invasive tightening or body shaping device. You may resume your normal daily activities immediately.